The educational methods and instruction need to match the parent’s level of understanding and assessed needs. Basic health and safety information including risks. Evaluate the parent's understanding of the education and training. Be motivated by the benefits of the new behavior. An education program about Abusive head trauma can help clients know what not to do to a child, how to provide comfort for the infant, and how to keep an infant safe. Violence, substance abuse, unstable family situation and poverty can be precipitating factors for AHT. If the system the client lives in has violence, alcohol or substance abuse and/or poverty, it may be difficult for one person to keep a child safe in that environment. These issues can also be addressed, and assistance offered as part of the educational program. 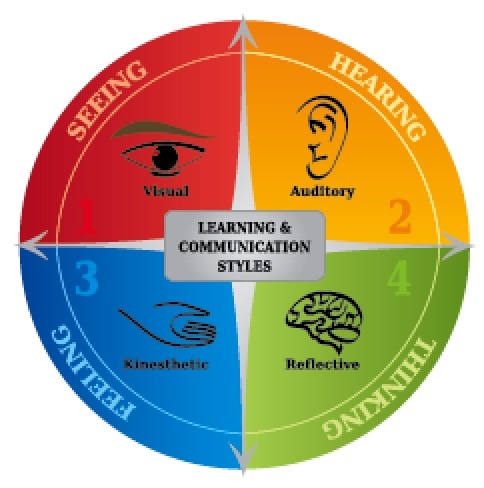 When doing an education class, it is important to address a number of learning styles for effective teaching. One of the simplest yet effective tool is the VAK (Visual, auditory, kinesthetic) learning style from the field of neurolinguistics. In this tool individuals are visual, auditory or kinesthetic learners. If you are a visual learner you learn by reading, watching, or writing. You use the words and phrases that indicate vision, such as See what I mean. If you are an auditory learner, you listen, ask for information, like to discuss situations, talk on the phone. You use words and phrases that indicate sound, such as I hear what you said. If you are a kinesthetic learning, you learn through touching, demonstrating, handling objects. You use words and phrases that indicate feeling or doing, such as Let me try that. A crucial concept about learning styles is our tendency to teach the way we learn. If as a teacher, you are visual, you will use handouts, visual aids, videos. However, if the learner is primarily auditory, they will ask for explanations and want the instructor to talk to them about the information. Teaching in one style that is not consistent with the learner’s is often the biggest disconnect between student and teacher. When teaching groups of individuals, it is best to use a variety of presentations to respond to any learning style. The American Medical Association (AMA) and the National Institutes of Health (NIH) recommend patient education materials to not be higher than a sixth-grade reading level (Weiss et al., 2005). Several studies have shown patient education materials used in health care organizations and online are written at a much higher level, presenting a deterrent to the comprehension of important information. Most word processing systems have a readability analysis in their system. The most popular and well-validated is the Flesch-Kincaid formula to analyze grade level readability. When using Word, the spell check must be completed first then the statistics on the area being typed, including the Flesch-Kincaid reading level, will come up. 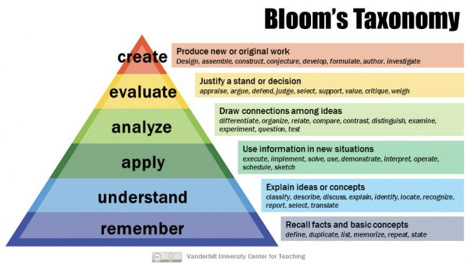 Blooms taxonomy is often used to develop educational objectives. Blooms taxonomy is described in different levels. Each level has specific words that describe in behavioral terms what the learner should be able to know or do. Learning objectives should be specific, attainable, and measurable. Most objectives used in patient education are written from the bottom three levels. Here are some examples that relate to Abusive Head Trauma. Describe what happens to an infant’s brain when it is severely shaken. Demonstrate four comfort measures to soothe a crying baby. Examine the precursor conditions that can lead to shaking an infant. Appraise a recommended approach to preventing AHT. Develop a plan for what to do if they cannot cope with a crying infant. The next step is to decide on what information the client will need to achieve the objectives, as well as how much time to allot for that information, and how to present the information. The content in this course can be used to explain AHT. RnCeus Interactive is a free to view website. This is an example of a typical instruction form for an educational activity that contains the connection between the objectives, content, time, teaching methods and evaluation. Video - Portrait of a Promise: Preventing Shaken Baby Syndrome. Ask the client to write what information was most impactful for them. Patients can listen to instruction, watch videos, read handouts at convenient times. Hospitals should have instructional materials available. All instruction should be noted in the patient’s record or in an educational folder if this is an outpatient course. There should also be an evaluation the patient and/or family member complete about the instruction that was given. Typically questions about the quality of instruction, relevance and presentation are asked in a paper and pencil form. Providing resources is helpful for patients and family members. The effective instructor will present information consistent with the participant's level of understanding and style of learning. Boyd, M.D. (1998). Strategies for effective health teaching. In: Boyd, M., et al. Health Teaching in Nursing Practice, 3rd ed. Stanford, Conn.: Appleton & Lange, 201-228. Mager, R. & Pipe, P. (1997). Analyzing Performance Problems: Or, You Really Oughta Wanna--How to Figure out Why People Aren't Doing What They Should Be, and What to do About It. Atlanta: Center for Effective Performance. Weiss, B., Mays, M. Z., Martz, W., Castro, K. M., DeWalt, D. A., Pignone, M. P., Mockbee, J., & Hale, F. A. (2005). Quick assessment of literacy in primary care: the newest vital sign. Annals of Family Medicine, 3, 514-522. The Mayo Clinic website, https://www.mayoclinic.org/diseases-conditions/shaken-baby-syndrome/symptoms-causes/syc-20366619, contains good information about Shaken Baby Syndrome It is important to inform patients and their families to look at credible websites online to avoid misinformation. NINDS shaken baby syndrome information page. National Institute of Neurological Disorders and Stroke. https://www.ninds.nih.gov/Disorders/All-Disorders/Shaken-Baby-Syndrome-Information-Page. Accessed Sept. 8, 2017.
https://www.medscape.com/viewarticle/725823 This website contains a video on making the diagnosis of Shaken Baby Syndrome. https://www.cdc.gov/violenceprevention/childabuseandneglect/Abusive-Head-Trauma.html. CDC details about preventing abusive head trauma in children..